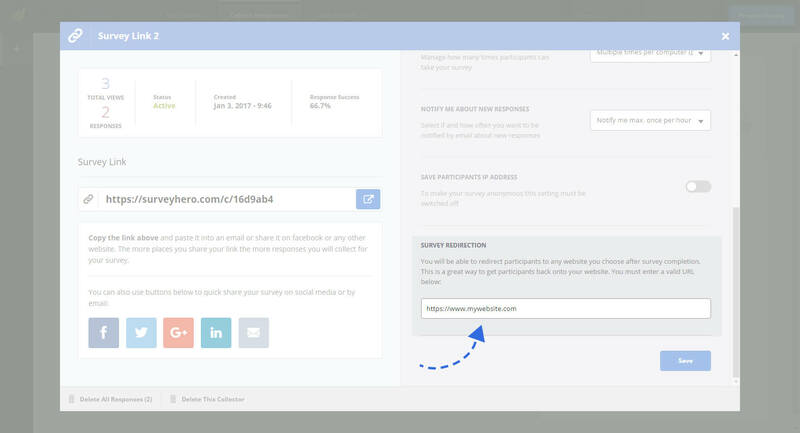 By default, your participants will land on a SurveyHero landing page after completion. If you want to override this, you can redirect your online survey participants to any website you choose after survey completion. This feature is a great way to get participants back onto your website. First you must create a Survey Link Collector. After you create your collector go into the settings where you will find a section with the title “Survey Redirection”. You can redirect your participants anywhere as long as you enter any valid website address in the box provided. As you type you will automatically be shown if the address is valid.